Jabra PRO 920 Mono is a professional entry-level wireless headset designed for use with desk phones. The robust Jabra PRO 920 offers all the essential features of a wireless headset in a simple design at an attractive price point. Jabra PRO 920 frees users from their desk, enabling them to find documents and multi-task with maximum efficiency while on a call. 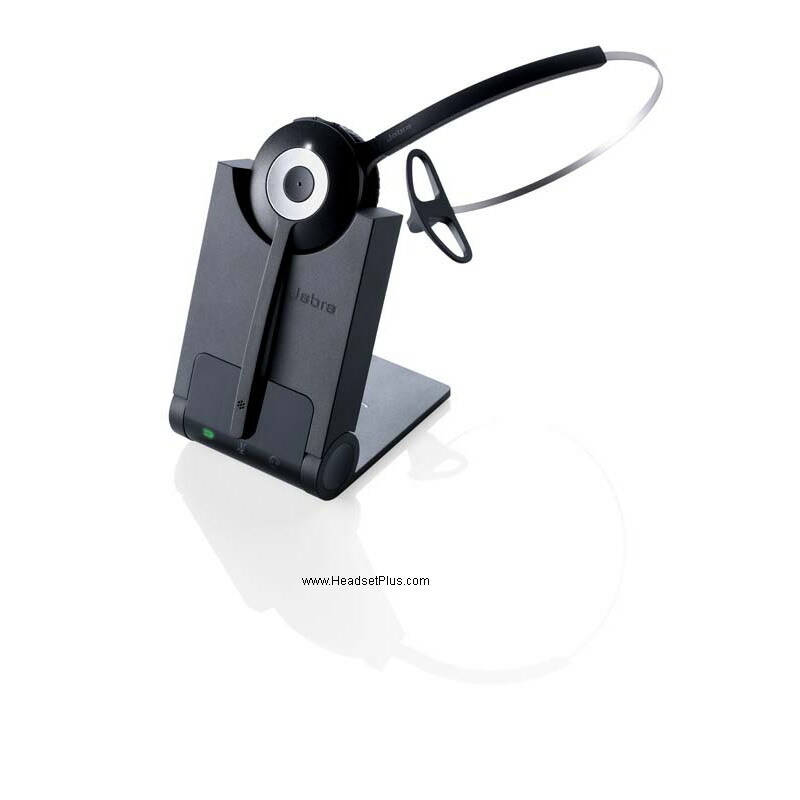 Apart from being able to walk and talk up to 325ft away from their desk, users will also benefit from enhanced ergonomics as the headset prevents neck strain caused by pressing a phone to their ear for long periods. Jabra PRO 920 Mono offers crystal clear audio and quality enhancing features such as Jabra safe tone that protects hearing by cutting off loud noises and securing safe average sound levels. The noise-canceling microphone eliminates unwanted background noise from an office or call center environment. Office phone connectivity Enjoy hands-free communication and increase productivity. DECT wireless technology Voice dedicated transmission prevents interference from WI FI. Talk time up to 8 hours. Talk all day. 36 hours Standby. Selectable auto sleep-mode function Saves power when the headset is inactive for a longer period of time. Headset weight: 27g Lightweight headset for all-day-comfort. Headset adjusts power consumption automatically and base unit is optimized for low power consumption. Voice prompt guide Setting up your headset has never been easier. Users are guided through every step by voice prompts. Security encryption between headset and base Secure conversation. Ensures that no one can listen in. 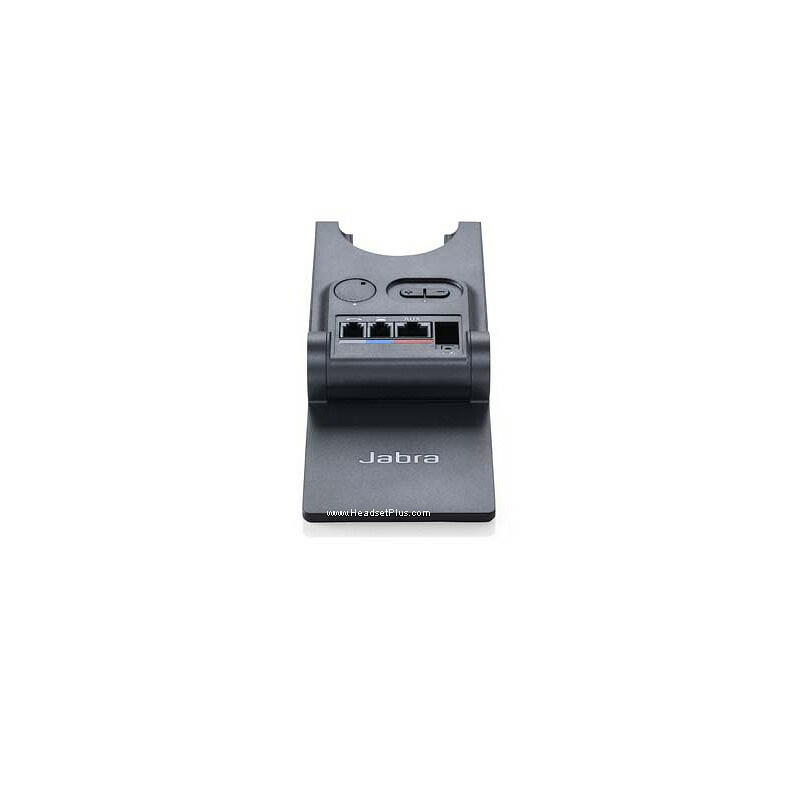 note: The Jabra Pro 920 does NOT have user replaceable battery. When the battery in the headset start to fail, you will need to replace the earpiece, part number is 14401-08.